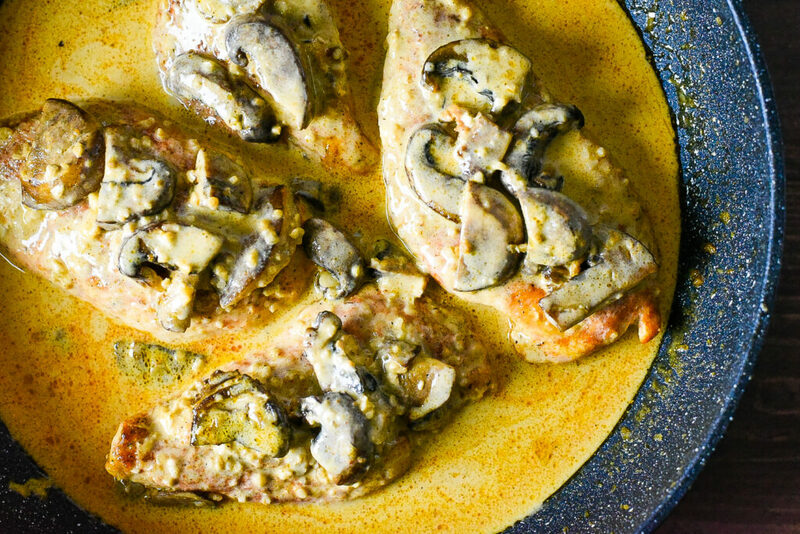 This particular recipe was inspired from having Chicken Marsala while out at a restaurant and enjoying the dish enough to create a recipe so I could prepare it at home — seems a lot of my recipes are inspired in that way. 🙂 And the fact that I love fresh mushrooms gave me all of the justification needed to give this recipe the green light. 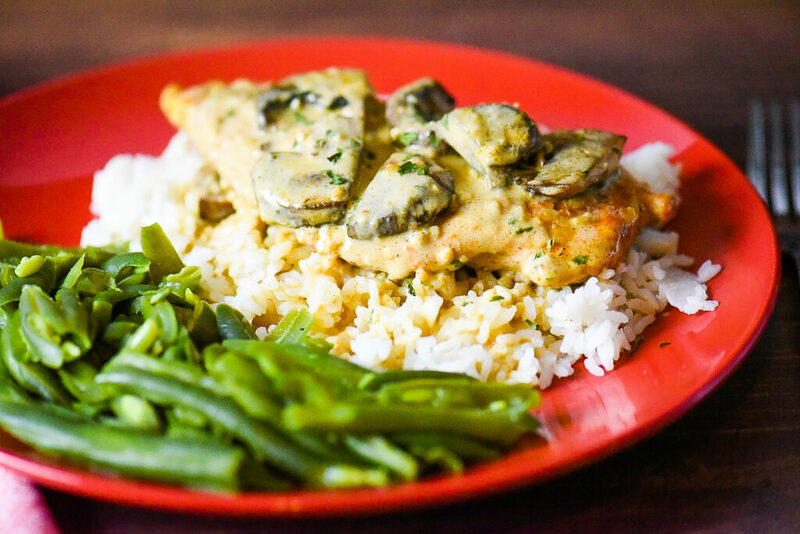 Chicken Marsala dates back to the 19th century and was likely originated with English families who lived in western Sicily, where Marsala wine is produced. Dry Marsala is an Italian fortified wine with a nutty, smoky, and deep flavor that is the perfect compliment to savory dishes like this one. It also aids in the caramelization of the chicken which adds even more flavor. 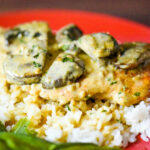 My creamy version of Chicken Marsala is what I want to share with you today. 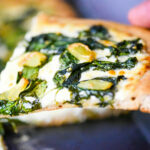 This dish can be enjoyed alone, with a side of vegetables, or on a bed of rice — which is my go to so I can drizzle on tons of that creamy sauce! 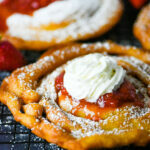 You can optionally use pasta or mashed potatoes with this meal as well if you want to add a different spin. 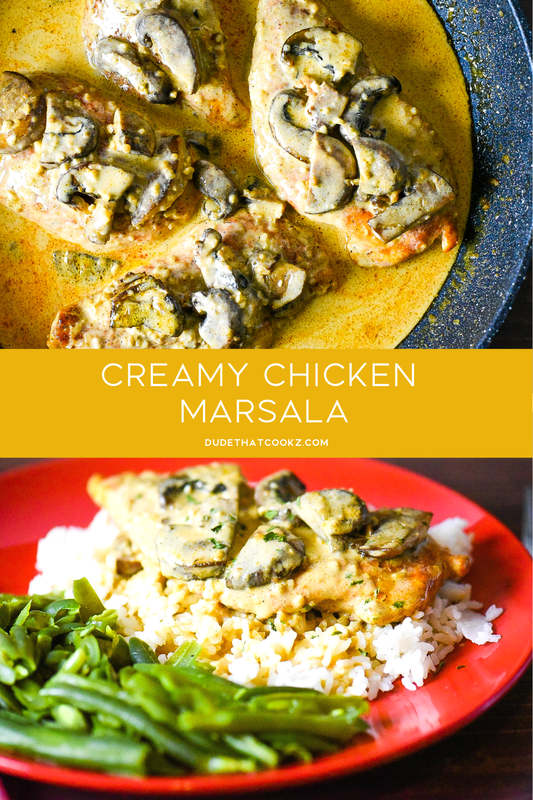 Dry Marsala cooking wine blended with chicken stock and heavy whipping cream come together in this dish to create a very tasty sauce. The well seasoned chicken breast brings every ingredient into harmony so make sure you don’t overcook it or the juicy texture will fall a little short. 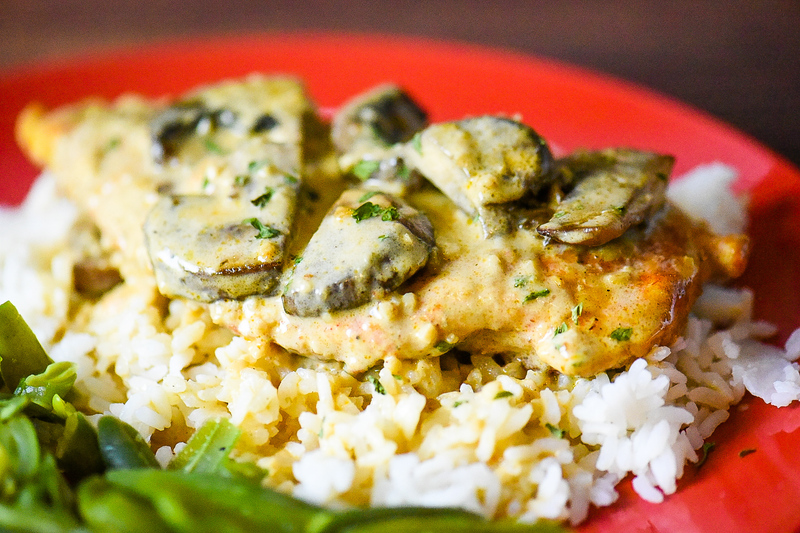 When you want to put together something easy but delicious give this Creamy Chicken Marsala a spot on the dinner table. Begin by slicing the chicken breast using the butterfly technique. Season both sides with black pepper, salt, 2 tsp ground cumin and paprika. 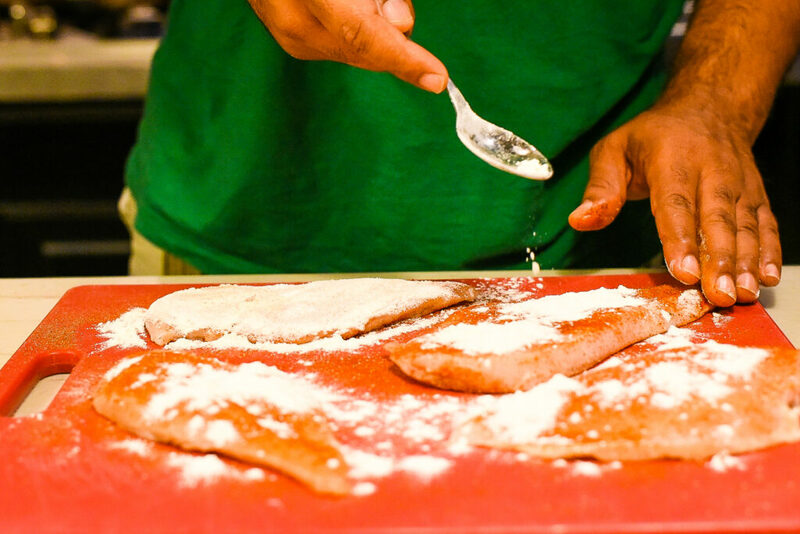 Slightly coat each side of the chicken breast with flour leaving 2 tsp of flour to the side for the sauce. Pre-heat cooking pan to medium heat. Add cooking oil. Cook each chicken piece for 4 minutes on each side and set the the side when done. Remove access oil from pan. Slightly lower heat to medium/low heat. Add butter, minced garlic and mushrooms allowing to cook for a few minutes while stirring. Add Marsala cooking wine and chicken stock to the pan and allow to cook for 2 to 4 minutes. Add whipping cream, oregano, garlic powder and stir. Add chicken and 2 tsp of flour to the pan stir and allow all ingredients to cook together for 8 minutes.